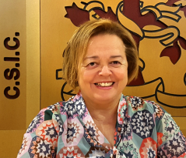 Prof. Dr. Rosa Menéndez. President of the Spanish National Research Council (CSIC). PhD. Chemistry from Oviedo University in 1986 and specialized in carbon materials. In the last years she has started a research line on graphene for biomedicine and energy storage applications. Vice-president of CSIC Scientific and Technical research between 2008 and 2009. Director of the National Carbon Institute between 2003 and 2008. She was also coordinator of several European Research and Development programs and manager at the Materials and Energy Spanish National Plan. Martin Duchenski. Governmental Affairs Germany in Covestro. Covestro was Bayer Material Science until 2015 started as an independent company.  They discovered the polyurethane and the polycarbonate. Today is the only company that was able to sintetize new materials from CO2. Covestro, with 16000 employees, is among the leading suppliers of premium polymers. Their materials and application solutions are found in nearly every area of modern life. Innovation and sustainability are the driving forces behind the continuous development of our products, processes and facilities. Dr. Óscar Fernández Capetillo. National Centre for Cancer Research, CNIO. 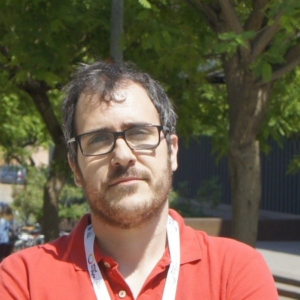 PhD from the Universidad del País Vasco working on the role of E2F transcription factors on the development of the immune system. He then joined the laboratory of A. Nussenzweig at the National Cancer Institute, USA, where he started to work on the cellular response to DNA damage (DDR). After three years at the NCI he joined the CNIO to lead the Genomic Instability Group. They are developing cellular and animal tools for studying the role of the ATR/Chk1 signalling cascade in the protection against cancer and ageing. His work has been recognised with the Eppendorf Award for Young Investigators (2009), elected EMBO Young Investigator (2008), an ERC Starting Grant (2007), the membership to the EPIGENOME Network of Excellence (2006), and the Swiss Bridge Award (2005). Dr. Melchor Sánchez-Martínez. Scientific Director of Mind the Byte. PhD in theoretical and computational chemistry. Experience in molecular modelling, computational chemistry, computational biology, computational drug discovery, biomedicine, interactomics, system biology like techniques, bioinformatics (pharmaceutical bioinformarics, structural bioinformatics and sequence analysis) and chemoinformatics, as well as in scientific programming and databases. Mind the Byte is a bioinformatics company specializing in computational drug discovery using Big Data, Artificial Intelligence and Machine Learning technologies. The new era of Robotics and AI. Debate. Prof. Dr. Raúl Rojas González. Full professor at Freie Universität Berlin. Professor of Computer Science and Mathematics at the Free University of Berlin and a renowned specialist in artificial neural networks. PhD in Economics and Social Sciences. 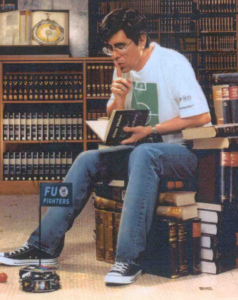 The FU-Fighters, football-playing robots he helped build, were world champions in 2004 and 2005. He is now leading an autonomous car project called Spirit of Berlin. He and his team were awarded the Wolfgang von Kempelen Prize for his work on Konrad Zuse and the history of computers. 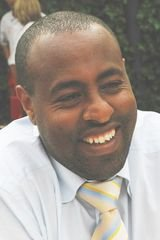 Dr. Yohannes Kassahun. Audi Electronics Venture GmbH. 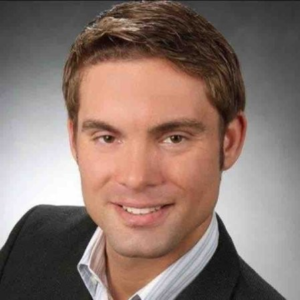 He currently works for Audi Electronics Venture GmbH developing algorithms to improve Advanced Driver Assistance Systems (ADAS). He holds a PhD in artificial intelligence from the University of Kiel, Germany. Dr. José de Gea. German Research Center for Artificial Intelligence. DFKI Bremen. Senior Researcher and Team Leader of “Robot Control” at the Robotics Innovation Center (RIC) of the German Research Center for Artificial Intelligence (DFKI). His research focuses on developing sensor-based and dynamic control strategies for highly-complex robots working in unstructured environments and hybrid teams of mobile manipulators and humans in an industrial context. The DKFI Center located Bremen focuses its research on: Underwater Robotics, Space Robotics, Logistics & Production Robotics, Electric Mobility, Search&Resue and Security Robotics, Assistance and Rehabilitation Robotics and Agricultural Robotics. Dr. Fco. J. Márquez Fernández. Francisco J. Márquez-Fernández was born in Huelva (Spain) in 1982. In 2006 he graduated as a M.Sc. on Industrial Engineering with a major in Industrial Electronics from the University of Seville (Spain). He received his Ph.D. in Electrical Engineering in 2014 Lund University in Sweden. Between December 2014 and June 2016 he was a Post-doctoral Research Assistant with the Energy and Power Group at the University of Oxford, UK. Currently he is appointed as a Researcher at the Div. of Industrial Electrical Engineering and Automation, Lund University, and the Swedish Electromobility Centre. 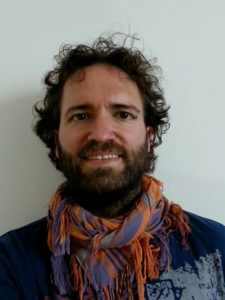 His research interests are mostly related with the design and control of new topologies of electrical machines and power electronic drives, applied to either renewable energy systems or electric vehicles, electrical machine characterisation methods, energy management in EVs and HEVs and their interaction with the power grid. Pablo Carbonell & Juan Miguel Galera Architects at Ecoproyecta. Architectural office dedicated to urban planning and sustainable construction, specialized in low energy consumption architecture, integration of renewable energies and passive architecture. They currently investigate in a project for the prefabrication of autonomous geodesic homes, disconnected from the electricity and water supply networks, thanks to the optimization of their construction systems, based on energy simulations and monitoring of comfort parameters. 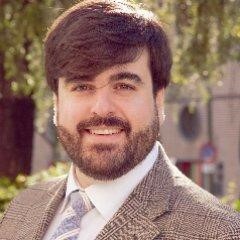 Antonio Calvo Roy, President of the Spanish Association of Scientific Communication. Scientific journalist, Press director of Nebrija University, president of the Spanish Association of Scientific Communication (AECC) and secretary of the European Union of Science Journalists’ Associations (Eusja, www.eusja.org). From 1992 until 1999 he worked in the Agriculture Spanish Ministry press office, General Energy Secretariat and the Nuclear Safety Council. In 2000 he started Divulga a scientific and environmental press company. 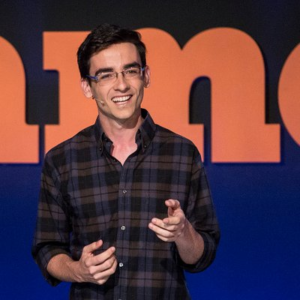 Pablo Izquierdo, Famelab Finalist 2017. Biochemist from Autonoma University in Madrid and Neuroscience PhD student at University College London. Scientific communicator in development and 3rd place at Famelab 2017. Prof. Dr. Nazario Martín. Professor of Chemistry at the Universidad Complutense de Madrid (Spain). His contributions surpass more than 500 peer-reviewed publications focused on carbon nanostructures, supramolecular chemistry and photovoltaic systems derived from fullerenes. 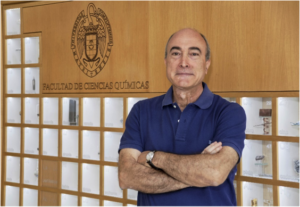 Since 2015, he is the president of the Spanish Confederation of Scientific Societies (COSCE) and vicedirector of the IMDEA-Nanoscience Institute in Madrid. 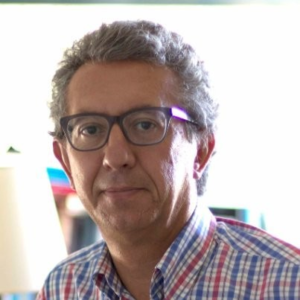 He was awarded with several prizes such as: the Dupont prize in 2007, Rey Jaime I Prize of Basic Research in 2012 together with the gold medal and the research prize of the RSEQ in the same year along with the Miguel Catalán Prize in 2014. He has also received international awards including the Alexander von Humboldt award given by the FAvH in 2012, and the Elhuyar-Goldsmith award given by the GDCh in 2016. Dr. Fernando Josa Prado. 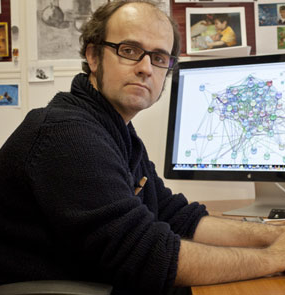 Biologist from Universidad Autónoma de Madrid, where he also obtained the Advanced Studies Diploma (DEA). 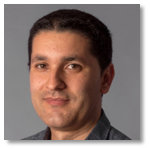 Marie Curie SyMBaD-ITN ESR fellowship at University of Bristol (UK) focusing his studies in molecular and cell biology. In this period he was co-founder and director of the South-West constituency of SRUK. 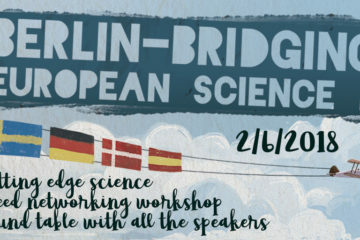 He is the founding and current president of the Society of Scientist Returned to Spain (CRE). 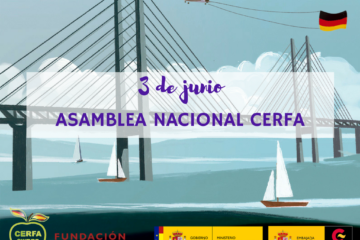 CRE is an association generated with the aim of: connecting and representing the scientists and researchers returning to Spain; collaborating in the increase and consolidation of the public awareness of the Knowledge Based Society, by interacting with them through scientific communication and outreach activities.